I want to introduce you to Kaitlyn Keyt. She created a website called VibesUP and it has videos and articles on energy and it's a fun place to hang out. I've learned so many cool vibrational facts that make life fun, simple, and magical. 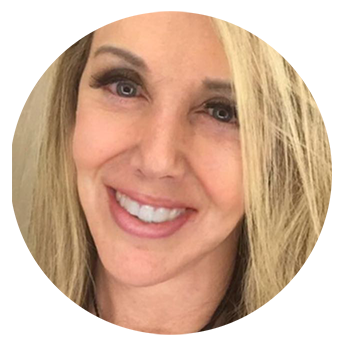 She shares easy to understand information on how science is now explaining the magic of nature and it's the cutting edge resource for the latest energy tools and vibrational education. This video is an excerpt of her 2010 talk at LA's Conscious Life Expo. It's actually part 2 of 7, but I chose to post this one because it gets right to the heart of her fascinating discoveries about the magic of the inbetween. Once you hear Kaitlyn Keyt breaking down the Mayan Calendar, the Chakras, the Taurus, the Merkaba into the most basic life truth and how it's all represented and interconnected throughout our entire history, you will truly be amazed. Kaitlyn communicates with nature and asks the big questions in life and believes that inner wisdom can be fun and simple and accessible to all. Throughout the talk, she reveals the simple KEY to unlocking the mysteries of our universe and solving everyday challenges. Here is another video that aired on the PBS Network that shows Kaitlyn explaining about how the hundreds of vibrational tools and products that she has invented can assist you and your body in being in in balance, thriving and in harmony with nature. Quartz Crystal is scientifically recognized for its technological ability to amplify energy, and is currently used in our computers, cell phones, lasers, etc. When pressure is applied to quartz crystal it stimulates piezoelectricity which produces over 1 MILLION RAYS of Vibrational Energy PER SECOND. This is a totally CLEAN, RENEWABLE and AMPLIFIED energy source. Our Earth is Electro Magnetic. It literally breathes in and out. Electro is the out breath, this is our Earth feeding healthy rays of energy to us. Magnetic is the earth’s ‘IN’ breath which pulls the excess toxic energy from our bodies to be cleared by the earth and the process continues. IN and OUT. Kaitlyn Keyt's VibesUP products are a condensed miniature or fractal of the EARTH with the same in and out electromagnetic action. What's exciting is that you can actually see this visually in the picture to the right of this frozen water image. When water is frozen, it slows down to be able to see the energy of it. 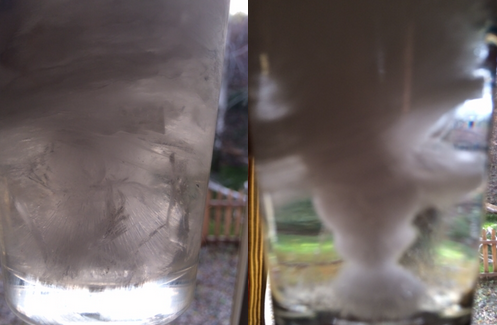 The water glass on the left was frozen without having VibesUP, the water glass on the right had VibesUP under it while it froze and you can see the funnel going both ways in perfect energy. There are other benefits people notice when using a Vibe Bottle ie: TASTE (it's slighty sweeter at the higher vibration), TEXTURE (it feels more silky), ALIVENESS (it tastes more alive at the healthy high vibration), MEMORY (water takes on the properties of what it is around). 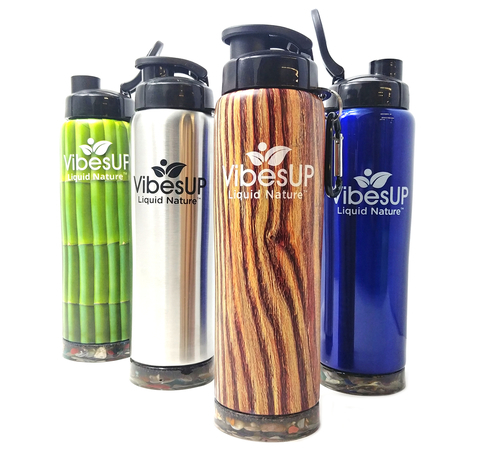 The gemstone disc at the base of the VibesUP bottles have a renewable energy technology that can help imprint, GEMSTONE, ESSENTIAL OIL and FLOWER ESSENCES through your bottle to the water with its infrared style delivery of REAL NATURE! Feeding healthy earth energy to our bodies and pulling the excess toxic energy off. At the same time it is re-balancing our systems like living directly on the earth would. VibesUP is also in the exact perfectly balanced ratio of push to pull as the planet. This is known as the Phi, Golden Measurement, or the sacred polarity ratio in nature. 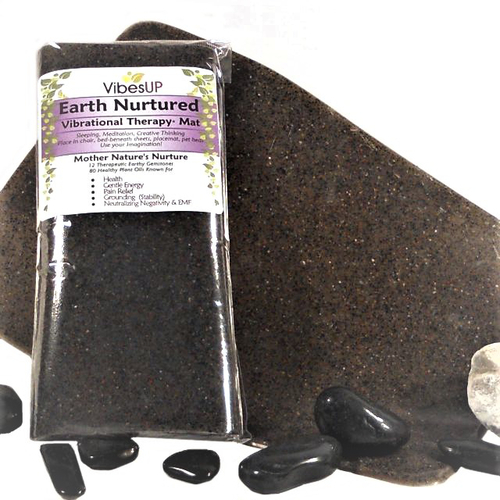 VibesUP helps bring the healthy balancing benefits of the earth back into modern unbalanced synthetic lives. Re-harmonizing and revitalizing our food, drinks and bodies. Some call it a miracle but in reality health, vitality and balance are our natural state of being. Nature, science, intuition and common sense delivered in fun simple and magical everyday solutions for our physical, mental and emotional well being, in the form of shoe inserts, teddy bears, drinking bottles, jewelry and more. On or under Computers can glue to the side of computer tower so mat is between you and the tower. If your massage therapist or energy worker, put on your table under clients getting a massage - Take with you for massage or energy work, everything releases faster grounded. Food charging station in your kitchen in cupboards and drawers. Kaitlyn Keyt's main goal is to help people believe in themselves and know that nature is just a friend who can help us get back in balance and remember how amazing we are. She doesn't want to be a belief system where people follow a guru or worship her. It is YOU that she encourages you to believe in. Empowerment is loving and believing in yourself! Our current living is unnatural and out of balance and VibesUP is an inspired new way to bring more nature into your modern lifestyle.